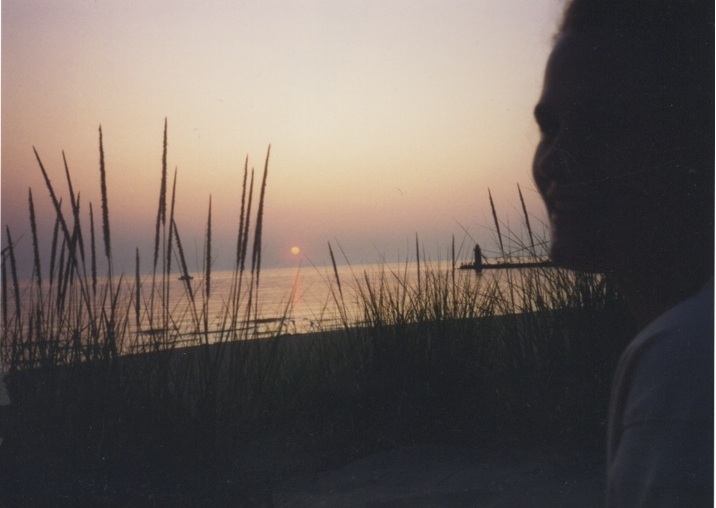 Twenty years ago today, armed with a diamond ring and two scoops of ice cream, I asked Sarah Davis to marry me on the beach in South Haven, MI. We’ve learned a lot, not least how to master the family calendar. We’re celebrating by seeing each other for all of five hours over two weeks. I returned from Scotland on Sunday at 1:00 a.m. Sarah left with Riley on a church ministry trip later that morning at 6:45. The fateful evening, twenty years ago. Sarah and I have had incredibly happy times and have enjoyed rich friendships. We’ve also known profoundly deep grief. There isn’t much we don’t know about one another and we’ve seen each other at our best and worst. I can’t get my head around the paradox, though, that just as we share an intense mutuality and intimate partnership, the mysterious distance remains. There’s still the sense that we haven’t really begun to get to know each other. I find that a happy prospect. Just a reminder… I love you two. Thankful for your marriage, your family, & you both as individuals. So wonderful. Thanks for being a great and open example!